LifeStyle Food is an Australian specialty network dedicated to food, launched in 2004 as a spinoff from The LifeStyle Channel. Recently, probably at the beginning of July, it launched a new on-screen look. With it came a new circle logo to replace the one the channel had used in various forms since launch. A series of dramatic and humorous idents have been created in-house, with audio from sound production studio Smith&Western. Last week, on July 24, the Spanish commercial bank Bankinter launched a new money management portal called Coinc. The new easy-to-use service is tailored to the under 35s and include functions that combine saving with social networks. The brand identity was developed by Saffron Design Consultants. The name is a combination of the English word coin and oinc, the sound that Spanish pigs make, as pigs are a universal symbol for saving. The symbol for the new service is both a pig snout and a coin being put into a slot. There were several public service broadcasters that unveiled new logo systems for their radio networks this spring. 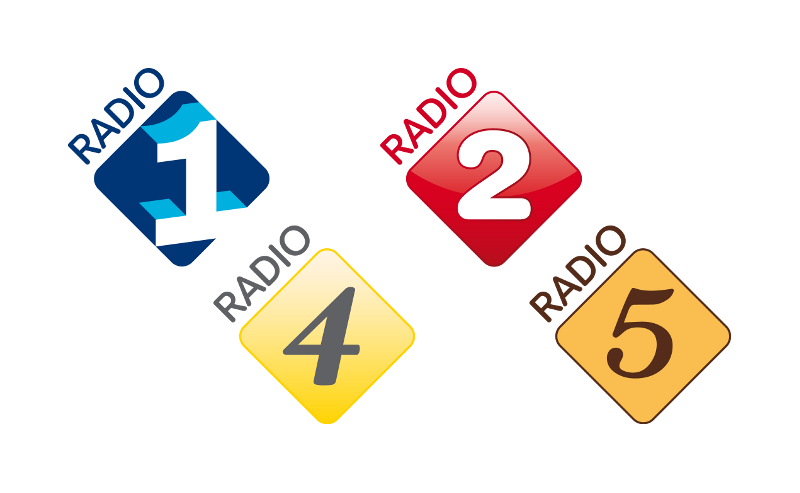 One such example that I somewhat missed was the Dutch public broadcasting system that introduced new logos for its radio networks last year. The new logos use slanted squares, a shape that has been embraced by the Dutch public broadcasting system. These squares where originally adopted by the three TV channels back in 2003 and took inspiration from the De Stijl movement of the 1920s, specifically a famous painting by Theo van Doesburg. The current radio incarnations are however don't have much in common with the ideals of De Stijl. The previous logos were all introduced in March 2007 and combined the networks' existing logos with a common template. The new logos introduce a new template and carry over some elements from the previous logos. The logos were launched with a few months between each other, starting with the popular music network Radio 2 on New Year's Day, followed by the classical music station Radio 4 in March, news and sports station Radio 1 in June and finally in August came new logos for Radio 5 with easy listening for the over 55 and Radio 6 with soul and jazz. Where's Radio 3, you ask. That is the edgy youth radio station 3FM that has its own independent design. It has now been three years since the Sci Fi channel changed its name to Syfy and started altering its direction slightly. Most of its international spin-offs were also renamed Syfy the following year, but in Australia the Sci Fi brand has remained in use, partly because the Australian Sci Fi channel was owned by a separate company that licensed the name from NBCUniversal. That is until yesterday, July 23, when the Australian Sci Fi channel changed its name to SF. The new name doesn't mean the channel is distancing itself from from the science fiction genre, as the rebrand carries the tagline "We are sci fi". The new and identity was developed with the Australian broadcast design agency Ink Project, and it is also inspired by the sci fi genre. On screen, the logo starts out as a blob that appears to be a fusion between technology and organism. Naturalis is the Dutch national museum of natural history and a biodiversity research center, located in the city of Leiden. Its 37 million specimen makes it one of the largest natural history collections in the world. After merging with two other museums in 2010 it has used the temporary name NCB Naturalis. This month, on July 12, the museum changed its name to Naturalis Biodiversity Center and also launched a new visual identity, created by an agency called DieTwee from Utrecht. 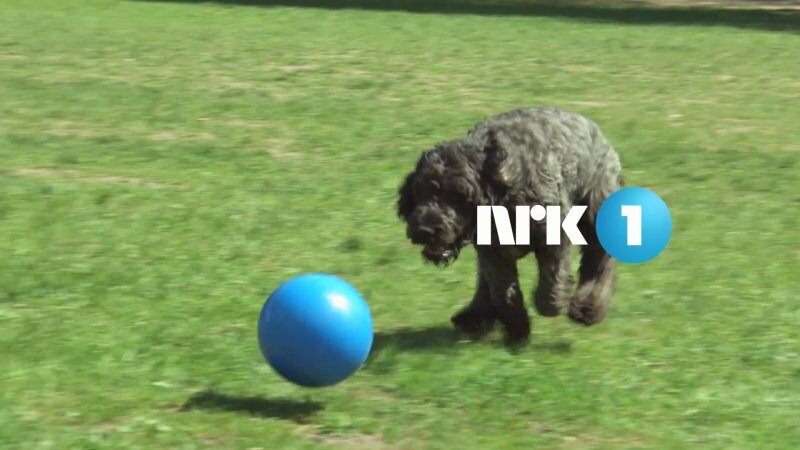 Last year, Norway's largest broadcaster, NRK, introduced new idents for its flagship channel NRK1, featuring a large blue ball that appears in everyday Norwegian life. NRK1 previous idents had developed over ten years and featured scenery from around Norway where some round object would form the "dot" in the R in the NRK logo. The blue ball was a new take on that idea, but has more focus the Norwegian people rather than the country itself. The idents where created by UK motion agency Kemistry, who had created some idents on the previous theme and also rebranded NRK's news and NRK2 earlier on. They were shots in two batches, one in summer and one in the winter. The balls were created in different sizes and materials, and were sometimes mechanically controlled. The Big Sky Conference is a conference within US college athletics that includes colleges from the Western part of the United States. On Monday, July 16, it unveiled a new conference logo, created by SME Branding, the agency behind last year's new Miami Marlins identity. The new logo lets the words "Big Sky" extend over a mountain range. The word "Conference" is written with Dobra Slab Bold. The blue version below is the generic version used by the conference itself, but the colleges have their own versions that use their team colors. Earlier this year, you could read about a new design for Mr. Kipling, a classic British brand for ready-made pies and cakes. The history of its conception and subsequent development in the last decade is a somewhat interesting one. The brand was created in the 1960s by Rank Hovis McDougall who wanted revitalize their cake sales, but also wanted to utilise a new bakery. When the brand launched in 1967, the range included 20 products that were sold in premium boxes with handles. Mr. Kipling himself never actually existed, he was an invention by marketing men who wanted to give a traditional family feel for something that is actually industrially produced. This was reinforced through ads suggesting Mr Kipling was a small shop baker, specifically in TV ads where James Hayter did the voice of Mr. Kipling. A successful example of the perhaps a bit disingenuous tactic of implying great heritage where none exists. Polk Audio is a U.S. manufacturer of audio equipment, notably speakers and headphones, particularly targeting audiophiles. This month, on July 12, it unveiled a new corporate identity that brings back a heart symbol that should promise "love of great sound". A heart was present in the company's original logo. The new identity was developed by Frog Design in San Francisco. Radio i Televizija Crne Gore (RTCG - "Radio and Television of Montenegro") is the national broadcaster of Montenegro, that small country on the Balkans that became independent from Serbia as late as 2006. Last month, RTCG launched a new corporate identity with a new symbol that is now used across its services. What the winged symbol is supposed to be isn't clear, but its red and golden colours are also present in Montenegro's flag. The typeface used in all logos is DIN Medium, sometimes a bit modified. The exception is the numerals for the the two domestic TV channels that seem (very) home-made. A mixed bag of high and low in this summary of new logos revealed in June. Although the new Twitter bird was the most discussed, there were plenty of interesting stories behind the other changes as well. Petrolis de Barcelona is a Spanish regional hydrocarbon fuel distribution company, originally founded as a family business in 1965. Recently, the company entrusted Coleman CBX to rebrand its distribution network as it wants to communicate a focus on innovation and environment. The new consumer brand is called Premira. The new symbol is supposed to be a combination of old and new, with the asphalt grey representing modernity and the bright hues representing sunrises and sunsets. Buffalo Wild Wings is an American restaurant and sports bar chain, originally started in 1981 to serve Buffalo-style chicken wings. Today it is a listed company with several hundred locations around the United States and Canada. This week, it has unveiled an updated visual identity. The new logo is inspired apparently inspired by sports stadium typography, and the winged buffalo icon has been updated. Stickyeyes is a British digital marketing agency that help companies with things like search engine optimisation and social media utilisation. In June, the company introduced a new corporate identity, created by Leeds design agency Elmwood. According to Stickyeyes, the new brand identity was designed to "better reflect the broad experience and multiple skill-sets of the Stickyeyes team" and came with a new website. Yesterday is a British TV channel dedicated to the past. Operated by UKTV, a joint-venture between the BBC and Scripps Networks, its is available for free to most of the UK population. During briefing yesterday, June 10, UKTV unveiled a new look for Yesterday as part an attempt to attract a younger audience through more entertainment. The new look was developed by London motion design agency DixonBaxi, who were behind a redesign of UKTV's flagship channel Watch earlier this year. Similarly, the Y-shaped symbol is the focus of the idents, where it has been recreated in concrete or wood and then gets various dramatic effects are applied to it. The new look launches July 24. Comedy Gold is a Canadian cable channel that airs classic sitcoms like Who's The Boss and Fresh Prince. Originally launched in 2001 as the Canadian version of TV Land, its owners broke with Viacom in 2010 and relaunched it as Comedy Gold, making it a spin-off from its The Comedy Network. Last year, The Comedy Network launched a new look with a fat Gill Sans logo, and Comedy Gold followed up with a similar new look in June. The new look was called "sleek and stylish" in a press release issued by Bell Media. In what seems to have become a regular feature, here is the third instalment of the "TV logo round-up". This post gathers about 70 TV logos that were revealed or launched between January and June this year. If there's something significant you feel is missing, feel free to post a comment below. Indiska is a Swedish chain of stores that sell fashion and accessories designed with inspiration from India. Originally a single store opened in Stockholm in 1901, it started expanding into a nationwide chain in the 1970s. For several decades it used a wordmark that drew clear inspiration from Hindi writing. Late last year, it introduced an updated logo that tones down the Indian typography a bit. Co.opmart is a Vietnamese supermarket chain with about 56 units, that has developed into a strong brand after opening its first store as late as 1996. Last month, on June 27, it unveiled a new corporate identity, created by Landor Associates in Hong Kong. The standard red-blue colors have been replaced by a contemporary scheme where "petal pink symbolizes passion, deep blue color of strong faith and a fresh green color vibrant" (Google translated). The new symbol can be imagined both to include the letters in the word "coop" and to resemble a heart. It is supported by a number of other symbols that can be used alone or in a pattern. iMusic1 is a small independent German music video channel that features music from several genres and is using an interactive format. This spring, it introduced a new logo and altered its name to iM1, pronounced in English, "I Am One". The I allegedly stands for interactive and a range of other positive words that start with an I, the M is for music, and 1 is for the position its wants to claim among German music channels. The British Standards Institution, which nowadays likes to call itself BSI, is the UK's official producer and publisher of standards, with activities around the world. This week, on July 2, it unveiled a new corporate identity. Launched with the slogan Making excellence a habit, the brand narrative around the new identity is focused on the work BSI do to help companies by implementing its standards. Erste Liga ("First League") is the somewhat confusing name for what is actually the third and fourth tier in Swiss football, although it is the highest amateur league. It used to be called 1. Liga and consisted of 48 teams in three regional groups. For the 2012/13 season, the Swiss Football Association has introduced a national tier called Erste Liga Promotion above the old one, which has been renamed Erste Liga Classic. Late last week, the new logos for Erste Liga and its "Promotion" and "classic" divisions where unveiled. RCN Corporation is an American cable company that operates franchises in several markets in the Northeastern part of the country. Recently, it introduced a new corporate identity that replaces its star symbol with a pair of wings. It was launched with the slogan "We're a better kind of company". Charente is a department located in Poitou-Charentes in central western France. This week, its general council unveiled a new visual identity. The old 1980s logo featured a map of the department, a radiating sun in the middle and a yellow sunbeam below. It has been replaced by a much simpler and a far more contemporary wordmark, that simply says "Charente - Le Département" in brown colours, maroon for "Charente" and ochre brown for "Le Département". The department has previously been using a cute promotional symbol with the message La Charente a des ailes ! ("Charente has wings! "), and it has been preserved and incorporated into the new look. The National Restaurant Association, the largest association of restaurants in the United States. This week, on July 2, it unveiled a new visual identity. The NRA says the previous logo had served the organization since 1987. The new one features two arches that are claimed to be filled with symbolism (see below) and the name is using Gotham, with an emphasis on the word "Restaurant". The colors are carried over from the previous logo to provide continuity. CzechTourism, the official tourism promotion agency for the Czech Republic, unveiled a new visual identity last week. Created by a design studio called Marvil, the new "social media savvy" identity is centred around the word "like", which has been integrated in the the country's name - "Czech Republike". The sans-serif wordmark stands in stark contrast to the swirly typefaces and friendly symbols that are found in most other tourism logos. Marvil's creative director Pavel Zelenka deemed such features outdated, suggesting that they didn't need a symbol as the logo targets the literate. When possible, the English word "like" is also used when the logo is adapted for other languages. The old flag logo will remain in use for a while, as Marvil's work will reportedly not be implemented until next year. Royal Haskoning and DHV are two Dutch engineering consultancies with a legacy going back to 1881 and 1917, respectively. Back in February, they announced their intention to merge back to form Royal HaskoningDHV. The merger was finalised yesterday, July 2, and a new corporate identity was unveiled the same day. The Perm Opera and Ballet Theatre is one of Russia's oldest theatres, tracing its history back to the 1870s. In the 1950s, it was named after Pyotr Tchaikovsky (the full name in Russian is Пермский академический театр оперы и балета имени Петра Ильича Чайковского), and many of his works are played at the theatre. An image of Tchaikovsky was also used as in theatre's visual identity until this month, when a new identity gets introduced. The new identity was unveiled on June 22, and was created by Russian designer Elena Kitayeva. It is a complete break with baroque and empire influences in the previous logo, and the opera house itself, for a modernist approach. It is centred around the letter O, for opera, which has the same meaning on both Latin and Cyrillic alphabets. The O has been split in two halves, and the theatre says this displacement has several meanings, all related to duality, conflict and confluence, such the border between Europe and Asia, opera and ballet or the old and the new. More importantly, the split O is a versatile visual device where one of the halves can be filled with effects, patterns and images, including an image of Tchaikovsky or the ballet impresario Sergei Diaghilev, who is also associated with the opera. The identity comes with a wide colour range, although purple and olive seem to be the most commonly used in the available applications. The logo-type uses Gill Sans Condensed, with the words in the name "Perm Opera Ballet Theatre" stacked on top of each other, in different sizes so that they'll have the same width. The O symbol and the logo-type can be locked up in a myriad of ways.